Success! Maureen from Kenya raised $685 to fund brain surgery. 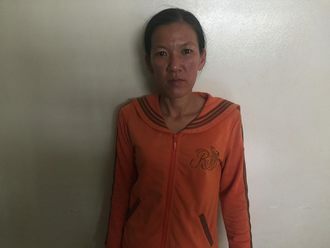 Maureen's treatment was fully funded on March 20, 2019. Maureen had a successful surgery to help drain the excess fluid in her brain. This has minimized the risk of suffering brain damage, loss of sight, and delayed development. Maureen is a baby from Kenya. She is the youngest in a family of three children. The family resides in the central region of Kenya. Maureen’s mother is employed casually as an hotelier, while he father is a subsistence farmer. Our medical partner, African Mission Healthcare Foundation, is requesting $685 to cover the cost of surgery for Maureen that will treat her hydrocephalus. The procedure is scheduled to take place on March 7 and will drain the excess fluid from Maureen’s brain. This will reduce intracranial pressure and greatly improve her quality of life. With proper treatment, Maureen will hopefully develop into a strong, healthy young girl. “I am sad to find out that my daughter has hydrocephalus. It is a good thing though that it has been discovered early enough,” says Maureen’s mother. Maureen received treatment at BethanyKids Kijabe Hospital (BKKH). Medical partners often provide care to patients accepted by Watsi before those patients are fully funded, operating under the guarantee that the cost of care will be paid for by donors. Maureen's treatment was fully funded. Maureen's treatment was successful. Read the update. Kry is a 65-year-old rice farmer from Cambodia. She has seven grandchildren and, in her free time, enjoys listening to the news and monks pray on the radio. 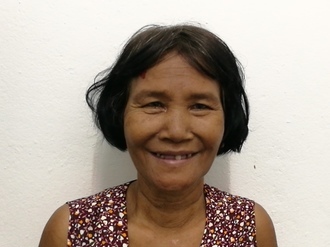 One month ago, Kry developed a cataract in each eye, causing her blurry vision, irritation, and headaches. She has difficulty seeing things clearly, recognizing faces, and going anywhere outside. When Kry learned about our medical partner, Children's Surgical Centre, she traveled for two hours seeking treatment. On April 22, doctors will perform an extra-capsular cataract extraction and an intraocular lens implant in each eye. After recovery, she will be able to see clearly. Now, she needs help to fund this $398 procedure. She says, "I hope that after my surgery, I will be able to see more clearly and no longer have any pain. I hope to be able to continue taking care of my grandchildren and helping with the cooking."